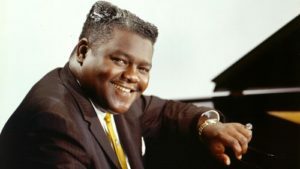 Fats Domino Born in New Orleans, Louisiana, in 1928, singer and pianist Domino channeled his roots in the city’s thriving music scene to become a pioneering rock ‘n’ roll star. He made a splash with his first release, “The Fat Man” (1949), and later earned widespread fame with tracks like “Ain’t That a Shame” (1955) and “Blueberry Hill” (1956). 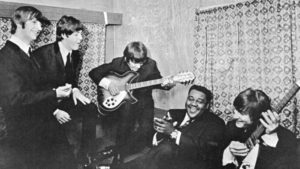 Although his string of hits largely dried up by the early 1960s, Domino continued to record and tour, and he was among the charter members of the Rock and Roll Hall of Fame. The music icon died of natural causes in his beloved hometown of New Orleans on October 24, 2017. 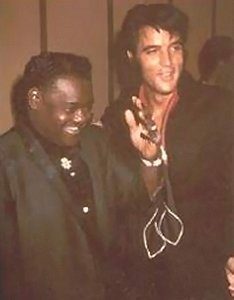 Elvis was a big fan of Fats Domino and had great respect for him. 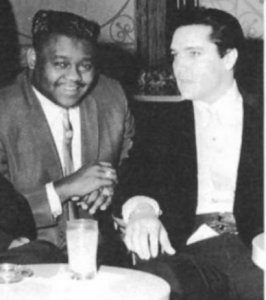 On more than one occasion, Elvis called Fats the real king of rock and roll. It appears that their friendship flourished because they got together when they both were working at the same times in Vegas.